Most Famous Rockn'Roll Outlaw, Musician, Writer, Educator and Social Activist, Peel was one and only guy produced by John Lennon for Apple records, So History Speak itself, David Peel will be touring Europe in The fall Headlining large music festival in Berlin Germany and other notable venues. I guess John Lennon Forever will be played OCt 9th. And Album Of The Year. Band is coming with new and biting album. Native Belgrader adopted New Yorker, Sean always had Guerrilla Music approach that helped him and his band surviving competitive New York Music market. 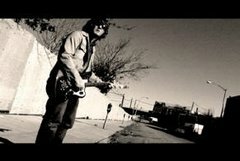 They just recently played BB King's club at Times Square, and will be on the tour in Europe this fall. Once upon a time there was a boy named Dylan who grew up by the ocean. He then moved to the big city and began his adventure in music. He loves nothing more than writing and performing and hopes to spread positive energy and optimism by doing so. Dylan's band, TreeUnion, play a mix of acoustic, rock, folk, and reggae, and focus on positivity, dreams, nature, political, environmental, and social awareness, peace, love, and life. Dylan likes apple juice. 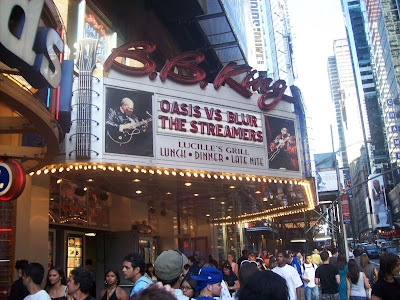 OASIS vs BLUR in Spetember! Though both bands are highly derivative, they draw from two of the most exciting periods in rock n' roll. Oasis recall the British Invasion of the 60's, while Blur take inspiration from the UK new wave scene of the 80's. Given the reheated 70's rock that clogs the airwaves these days, Oasis' solid melodies and Blur's clean harmonies are a breath of fresh air. As analogies go, however, Oasis are really the new Small Faces, while Blur are the new Kinks--just to put things in perspective. The Streamers New York City based band Sharing same influences as Oasis and Blur but also playing their repertoire as well as Stone Roses, Verve, Charlatans and some other notable acts of golden era of Brit-Pop, put whole excitement on stage for huge number of fans who enjoy another good pure Rock'n'Roll revival. The Streamers recently released new record called Strawberry Fields Revisited. Hit Single titled same as the album Strawberry Fields Revisited is dedicated to Strawberry Fields in New York and spirit of John Lennon. Drum kit: Bass drum/ 2 rack toms/ 1 floor tom ::cymbals & snare drum are required and hardware is recommended. DO NOT BRING FULL DRUM KITS OR GUITAR CABINETS. THEY WILL NOT BE ALLOWED ON PREMISES FOR SPACE CONCERNS. CONCERTS FOR GEORGE GLOBAL ACTION! We're proud to announce series of George Harrison tribute shows around the world!